Call with questions or for a price quote today! Commercial Metal Exchange - Stocks and distributes all Alloys -Tempers- and Forms of Aluminum,Brass,Copper Stainless and Steels available for immediate delivery. Our sales force has a combined background of over 100 years sourcing metals and specifications.Avoid the frustration of inexperience. We are Experts at Metals. We take an enormous pride in our business and strive every day to improve our services. We welcome all comments or suggestions from our valued customers.If you would like a line-card of our products and services mailed to you, please call or fax or e-mail us. 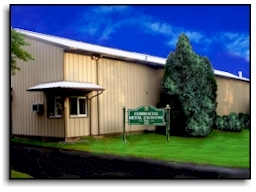 Commercial Metal Exchange , Inc. This page has been visited 192187 times.